Rhiannon Hooson: Full Moon on Fish Street out soon! Full Moon on Fish Street out soon! Back in spring I began #the100dayproject, a multi-discipline art project where participants pledge to spend 100 days producing work in their chosen medium. I had just come back from a visit to St Ives at the time, with a notebook full of scribbled facts and sketches and the germs of poems. I wrote about the inception of the project in a blog entry here. A hundred days is a long time - I definitely did not write every day, but I did make a point of thinking about it for a while each day, whether it was during a drive somewhere, or a quiet moment at home, or while out walking the dog. And now at the end of the 100 days I am delighted to say that I will be publishing one of the products of my project as a pamphlet! 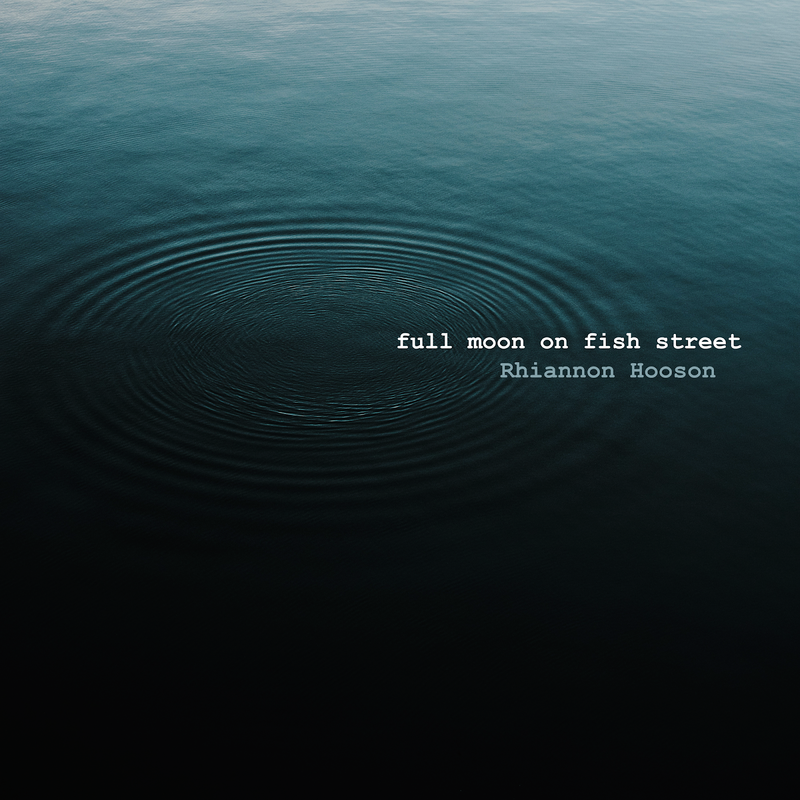 Full Moon on Fish Street is a chapbook of new work written during the last 100 days. It will be published by Beautiful Dragons Press at the end of August, with a small launch during the Presteigne Festival at a nearby art gallery (see my events page for details!). Putting it together has been an interesting process, because I didn't really set out to write it. In fact, for my 100 day project, I didn't really think about what the end product of 100 days of work might be at all, I simply wrote. What emerged has resolved itself into two pieces of work: a body of prose and poetry that will become Full Moon on Fish Street, and an as yet unfinished novella of speculative fiction. But more on the latter another time. During the project I became interested in the idea of using blackout poetry to explore a heritage of women's writing about the sea. In particular, that of Virginia Woolf, whose work had drawn me to St Ives and to the Tate Gallery, where the hundreds of works of art on show there demonstrate a richness of inspiration bequeathed on the artistic community by her writing. Armed with a copy of To The Lighthouse and an ancient, complaining photocopier, I began to explore the idea. It seemed particularly appropriate after days spent looking across the bay at the very lighthouse which had inspired the titular building in Woolf's novel. I particularly liked the challenge of writing poems using only a specific, limited set of words which changed each time the page of source text changed. My approach to blackout poetry is a slippery one. Each poem in the pamphlet is distilled from a page of To The Lighthouse, mostly. The words appear in the order that the appear on the page, mostly. The words are mostly unaltered, except where they aren't. Blackout poetry isn't so much an act of appropriation as an ever changing poetic form. Instead of leaving the words pinned to the page, surrounded by redacted text and black ink, I have lifted them completely, divorced them from their maternal phrases, shaped them into something new. It was a kind of game: I went looking for stories hidden between the lines of another story; for a hidden text visible only to my eye. Full Moon on Fish Street is the story I found. It is a story told through poems and extracts of prose, set in the St Ives of the past, but not quite our own past. It is a story about an artist who falls in love with her muse. Full Moon on Fish Street will be limited to a signed and numbered edition of 100 copies. It will be available to buy only at my events, from my website, and a few selected local retailers. If you would like to subscribe to this blog in order to be updated when it becomes available, scroll to the bottom of the page and enter your email address in the box marked "follow by email"